Promoting Health by Preventing Error. The patented technology of the Versi-Fill XL makes it the only Pharmacy Automation on the market that can fill both Single-Dose and Multi-Dose Blister Cards for all leading compliance packs currently available in Canada. 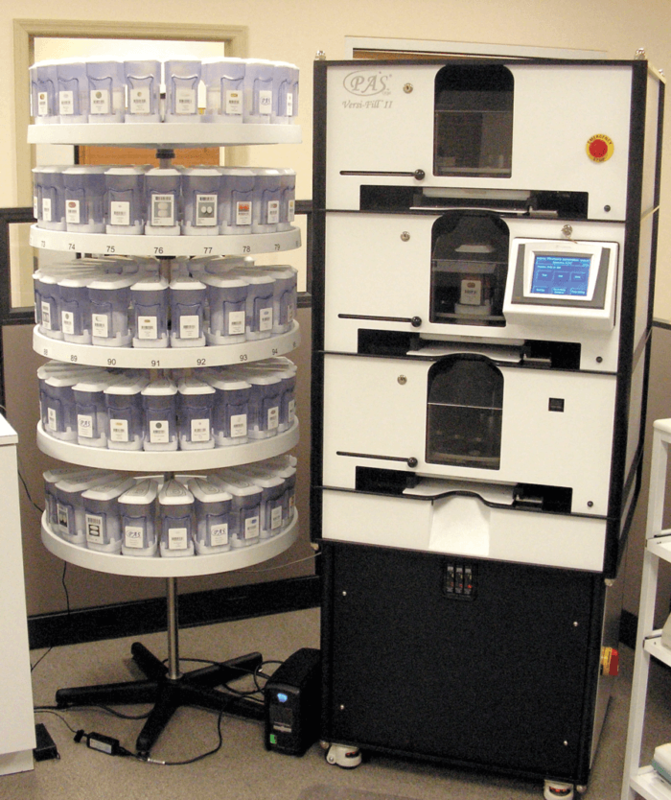 Dispensing capabilities include unit and multi-dose filling, skip pockets and partial fill capability, and batching for inventory. Versi-Fill® XL is equipped with 60 medication canisters as standard and can be expanded up to 600 canisters with the external inventory feature. "On the fly" replenishment allows the med canisters to be replenishing in the middle of a prescription dispense cycle. Replenish, add or remove med canisters in less than 60 seconds. Change over from one card type to another or card to vial in as little as 30 seconds or less.